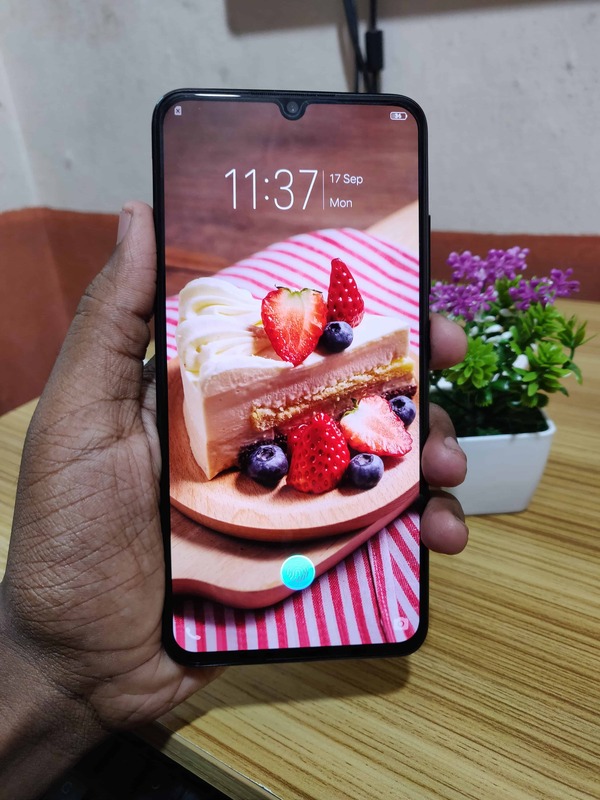 VIVO has launched the new innovative product V11 Pro this year comes with the In-display finger print scanning & Infrared scanning for face unlocking these two features keeps the device speed and secure while unlocking the device and for application unlock. The V11 feature 6.41-inch AMOLED display with 19.5:9 aspect ratio has come in single variant 64GB + 6GB ROM & RAM respectively and it has a dual rear camera setup 12MP + 5MP and 25MP front camera. V11 Pro has runs on Android 8.1 Oreo with their custom Funtouch OS V4.5 and its powered by Snapdragon 660 Octo core processor with Adreno 512 GPU for graphics and packed with 3400mAh battery, for security Vivo introduces the In-display finger print scanning & IR face unlock. The in-display finger print scanning works by pressing the finger print icon in the display and holding for 1sec continuously to unlock the device, it takes a maximum of 1.5 seconds to unlock but some times it unlocks instantly these depends upon holding the finger print icon in the display. The user needs to cover the full icon with finger in display and holding for a second unlocks the device instantly and also to improve the recognition the screen brightness and color will be adjusted during fingerprint recognition. The V11 pro features a Off Screen display by enabling this the icon is appear in the display when the device is locked and it disappear after the screen idle time and it again appeared when the device is lift up, now by pressing the icon with finger unlocks the devices without pressing the power switch also, you can change the animation of finger print scanning with 5 different styles and you can enable & disable the In-display finger print scanning as per your wish. Another updated feature in V11 pro is Infrared based face unlocking, many manufacturers using the camera to face unlock but during in low light condition or in night time the accuracy of face unlock is became low but VIVO introduces the infrared sensor in between the top bezel that scans your face using infrared rays and it unlocks the device instantly even in the dark night. The face unlock works fast and secure if the surrounding has good ambient lighting but when the ambient light is low the infrared sensor is activated and using the IR rays it scans you face data instantly and unlocks the device also, there is a option of screen fill light that increases your screen brightness during low ambient light condition and using that brightness it recognize you face data and unlocks the device, so the VIVO V11 Pro never fails to unlock your device. VIVO enabled another feature to improve the unlocking feature more accuracy by giving an option of combined recognition of fingerprint and face. This feature is works when pressing the finger print icon in the display it starts the face & finger print recognition simultaneously, by using this method the device will unlocked even if supposed to fail any one of these two methods and using this feature the device unlocked as soon as based on in which method is recognize first. The face unlock & finger print scanning can be linked with the app privacy and protection that unlock the application instantly while opening the application and you can choose different options to set the app lock time. Avoid using finger print in strong light. Avoid registering facial image in low light, strong light or against the light. Avoid looking your face in up, down, left or right while registering your face data.